Dien Bien Phu is famous as the site of a battle that was truly decisive. The French colonial forces were roundly defeated at the hands of the Viet Minh on 7 May 1954 and the days of their Indochina empire were finally numbered. Dien Bien Phu, known as DBP for short, now enjoys the prestigious status of provincial city, like Hanoi and Ho Chi Minh City, although it is not quite in the same league. Set in one of the most remote parts of Vietnam, the town is 34km from the Lao border in the flat, heart-shaped Muong Thanh Valley, surrounded by steep, heavily forested hills. The size and look of the city is surprising considering the remote location, especially if you managed to survive getting here overland. History is the main attraction here and the scenery is more stunning on the journey to or from Dien Bien Phu than around the town itself. Not surprisingly, the majority of travellers who come here now are French – Dien Bien Phu seems to hold the same sort of fascination for them as the Demilitarised Zone (DMZ) does for Americans. 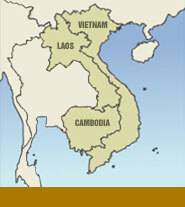 For centuries Dien Bien Phu was a transit stop on the caravan route from Myanmar and China to northern Vietnam. 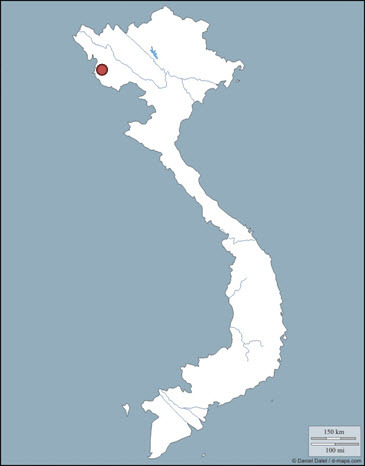 The town itself was established in 1841 by the Nguyen dynasty to prevent raids on the Red River Delta by bandits. The area is inhabited by Montagnards, most notably the Thai and H’mong. The government has been encouraging ethnic Vietnamese to settle in the region and they currently make up about half of the Muong Thanh Valley’s total population.